The most important week of the year for raising 9/11 awareness is here — and we’re starting it off in a big way! 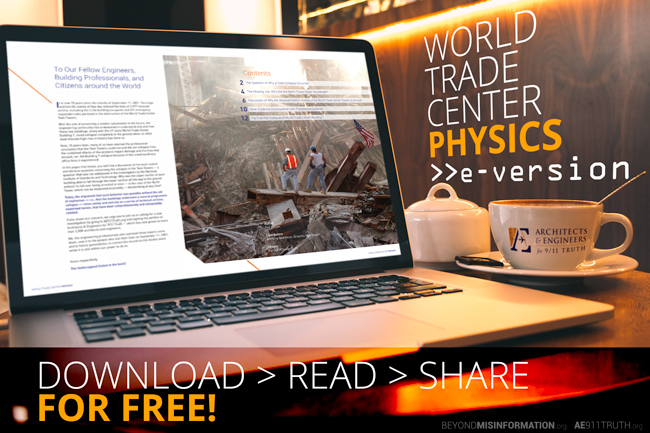 FIRST: The e-version of our newest publication, World Trade Center Physics, is now available for free download. Check it out today and share it with anyone and everyone you know! If you love it and want some hard copies to distribute, you can purchase them in our online store, virtually at cost. 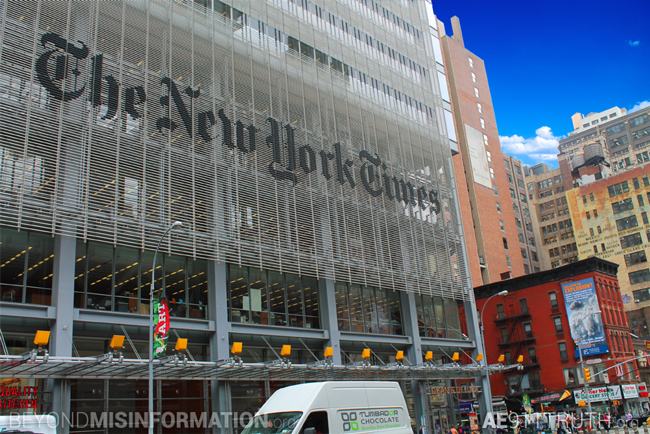 SECOND: Our 2016 New York Times Billboard was installed early this morning right outside the New York Times Building, at 40th Street and 8th Avenue in New York City. 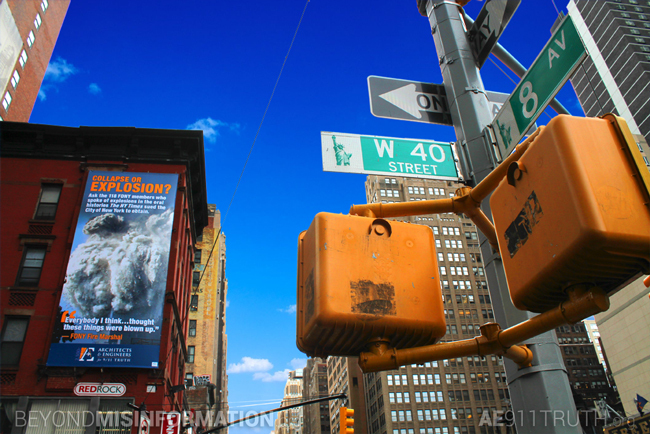 We invite you to take a look at the pictures below and share them widely. 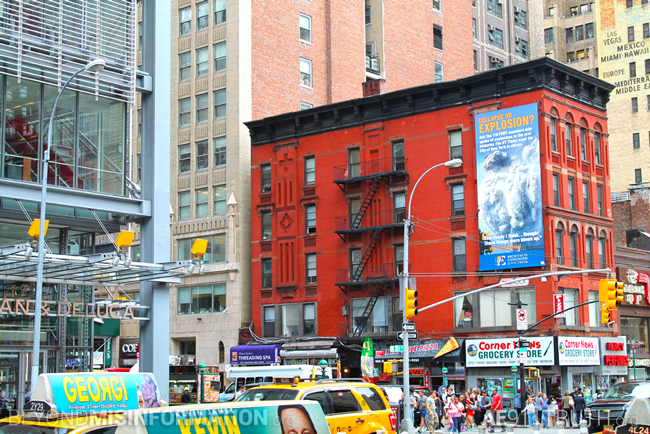 This audacious billboard — which takes The New York Times to task for its failure to investigate 9/11 — was made possible by several hundred of you who donated so generously over the past five days. We can’t thank you enough for your incredible support. 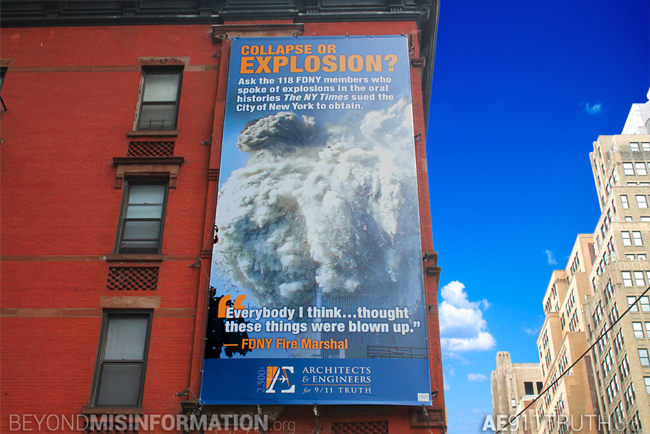 Tomorrow we’ll be mailing a photo of the billboard, along with excerpts from 118 FDNY oral histories, to 500 New York Times employees, 200 FDNY firehouses, New York’s 51 council members, and the board members of the New York ASCE chapter and the Structural Engineers Association of New York.